Nelson Lawrence Simon had been living the dream, sailing around the world in his 36 foot sloop until his rudder chain broke during a storm. The spare, which he thought he’d packed so carefully, had been exposed to four months of salt and moisture and had rusted. Current washed him up on the north shore of an island, Piller, according to his charts. There was some sort of electrical interference that was jamming his radio, but he saw structures in the distance, so maybe someone lived here. Simon was halfway up what looked to be an abandoned trail when he spotted the nest. He brought provisions with him, but it had been a long time since he had fresh eggs. “Damn. Too late.” He watched as the first of the eggs broke open, but wasn’t prepared for the emergence of the occupant. As a shadow fell over him from behind, he realized it wasn’t an alligator. He turned and had just enough time to recognize a velociraptor from those “Jurassic” movies before he was messily devoured, well mostly. The rest of him would feed her hungry brood. I wrote this for the Flash Fiction for the Purposeful Practitioner writing challenge. The idea is to use the image above to inspire the creation of a piece of flash fiction no more than 200 words long. My word count is 195. 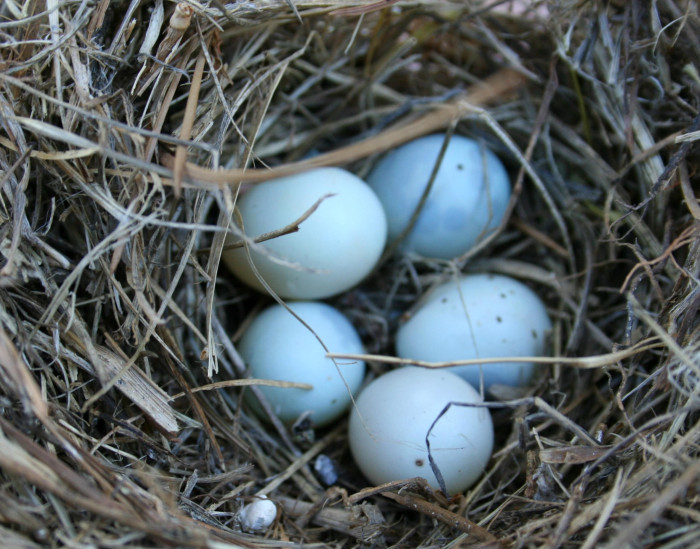 I saw the eggs and was crestfallen, because I didn’t want to write about bird eggs. Then I decided to leverage my series of stories based on The Kaala Experiment, a time travel device that’s gone wrong and brought a whole bunch of dinosaurs forward to the present on an island in the South Pacific. Nelson Lawrence Simon never had a chance. Roger’s link up still needs a lot of love, so please consider contributing a story. Thanks.